Should You Be Using a .tv Domain for Your Online Video Business? There’s so much that goes into making a website great– copywriting, site design, images, and videos– but sometimes it’s the smallest details that make the biggest difference. A perfect example of this is the domain type you choose. Do you want to go with the classic .com? Schools and universities will always shoot for the .edu, and government sites will opt for .gov. Unlike other domain types, there is no limit on the types of sites that can utilize the .tv option. There are a number of different benefits for creating a .tv site for certain businesses, and in this post, we’ll help you decide whether or not your business should choose a .tv domain instead of more conventional options. What is a .tv Domain and Why Does It Matter? There are different domain types, like .com, .edu, and .tv. They each represent different purposes for a website. We all know that .edu, for example, indicate that the site belongs to a school system. 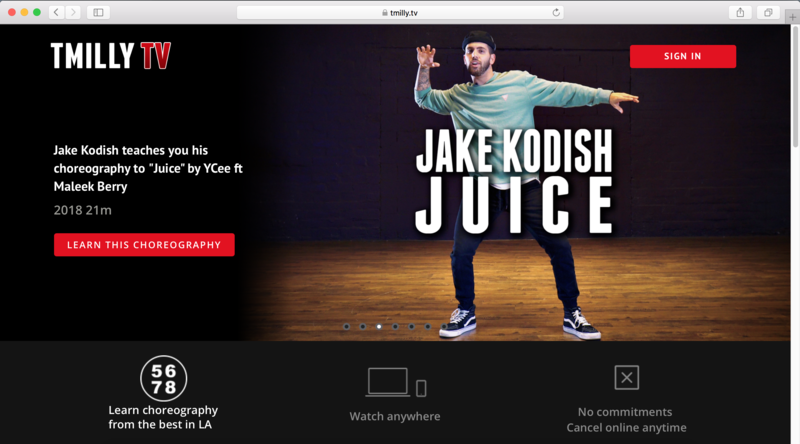 Domains that end in .com are all-encompassing, so they’re what most sites choose to go for, but businesses that have a heavy emphasis on video–like video choreography site TmillyTV— should consider .tv domains. The funny thing is that the .tv domain is originally the internet country code domain for the Polynesian island nation Tuvalu–but because it shares the same abbreviation as the word television, the .tv domain is most often used by video and television-related websites. It’s actually so popular that nearly 10% of the Government of Tuvalu revenue comes from royalties form .tv addresses. Anyone can purchase a .tv domain, which indicates that the site will contain a great deal of video content. If you’re worried about accessibility, these domains are even available through major domain carriers like GoDaddy, so there’s no need to jump through extra hoops to obtain it. There are a number of reasons why video-centric businesses– including many of our customers here at Uscreen— have decided to opt for a .tv domain. To start, it’s an excellent branding opportunity. A .tv domain will immediately set you apart in your audience’s eyes, even if it’s an unconscious level. It shows that you are fully committed to video creation, and it can help you define the purpose your site serves. It doesn’t hurt that the .tv is so different from the .com that it has an official look. Most users, after all, don’t know that anyone and everyone can purchase this domain type, and this can help you to stand out. There’s also less competition for .tv domain names, since most sites choose .com domains instead. This gives you a better chance of getting the name you want, giving you more options. It’s also cheaper in many cases, which is never a bad thing. It’s worth noting that we’re watching television shows, vlogs, and other forms of video content online more than ever before. The rise of video has been so enormous that people can make money streaming their screens when they play video games and that Facebook is taking a note out of Netflix’s book and paying publishers to create content exclusively to them (you should take a note out of Netflix’s book too). People want to see video more than text, and showing them right off the bat that this is what you can offer is a big plus. Are There Drawbacks to a .tv Domain? There aren’t any big, glaring drawbacks to a .tv domain that brands need to weigh seriously. The biggest risk is that someone will purchase a similar .com site, and they’ll get more of the traffic if users try to search for your site but enter in the wrong ending to your site address. This is most likely to occur with people entering .com instead. The best ways to avoid this is to make sure that if the .tv domain you pick is already in use, that it isn’t being used by a website competing with yours in any way possible –directly or indirectly. They have to be so irrelevant so if someone does types in .com by accident, they will quickly realize this isn’t the website they were after, or won’t be tempted to stay on. The second thing you can do is buy out the .com domain along with the .tv one if it’s available and if you can afford it. If you can’t afford it at the time you launch your website, plan to come back to it and buy it in the future when your business has generated enough revenue and if it’s still available. It can also be frustrating if you already have a site domain, and don’t want to risk losing traffic by switching over to a new one. Fortunately, there is a way around both of these problems, and it’s all wrapped up in one solution. You can link multiple domain names so that when users type in one URL (like magictv.com) it will automatically send users to another (like magictv.tv). This will allow your current users to be sent to the .tv domain and still register the branding and will prevent them from ending up at a dead site. If you don’t already have the .com domain, you can purchase it and set it as a secondary domain and have it forward visitors to your main site. Getting a .tv domain is exceptionally simple. First, choose the web hosting company that you want to choose, so that you can purchase the domain name through them directly. This is the easiest way to go about it. For this example, we’ll use GoDaddy since they offer the .tv domain type. (Some, like Bluehost, don’t). When you search for the domain you want, make sure that it’s got .tv at the end. It’s really that simple. If it’s available, you can claim it. If it’s not, most sites will present you with suggestions of similar domains you can choose from. Is .tv Right For Your Business? If you’re still wondering if a .tv domain is right for your business, remember that it will work best exclusively for sites that are branding themselves as a video site. It’s why we’re using the .tv domain name for Uscreen’s site address. If you have just a few videos and mostly text and images on your site with only a few videos, it’s not for you. If people are coming to your site primarily to watch video content, however, it could be a great choice for you. 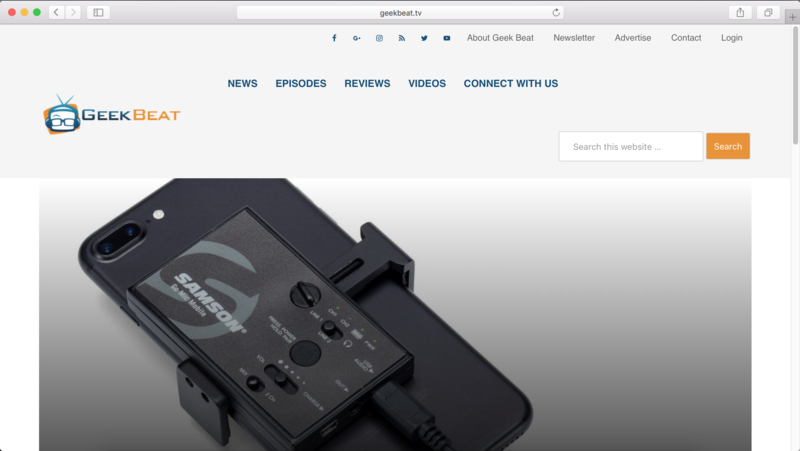 This doesn’t mean that video has to be the only thing your site offers; GeekBeat.tv, for example, is a video-centric site that also has text-based content like reviews. A .tv domain is particularly beneficial for sites that offer video subscriptions, too. These will be sites that often offer video content almost exclusively, with users potentially paying for video access instead of or in addition to other products and services. 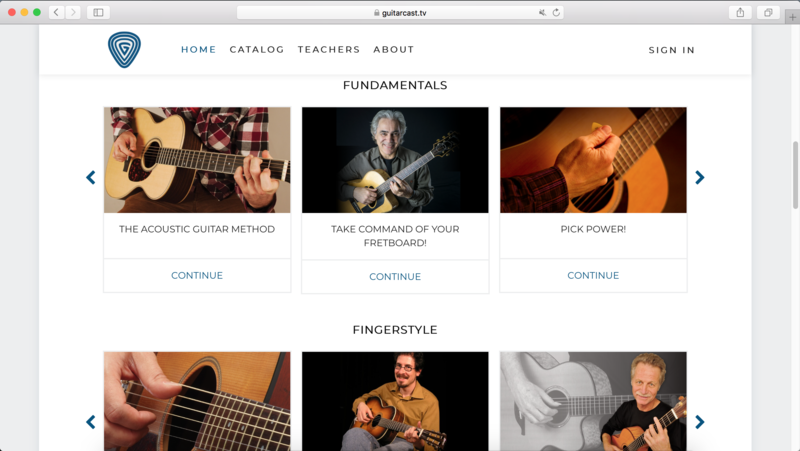 A great example is Guitarcast, another Uscreen customer that teaches students how to play the guitar online. 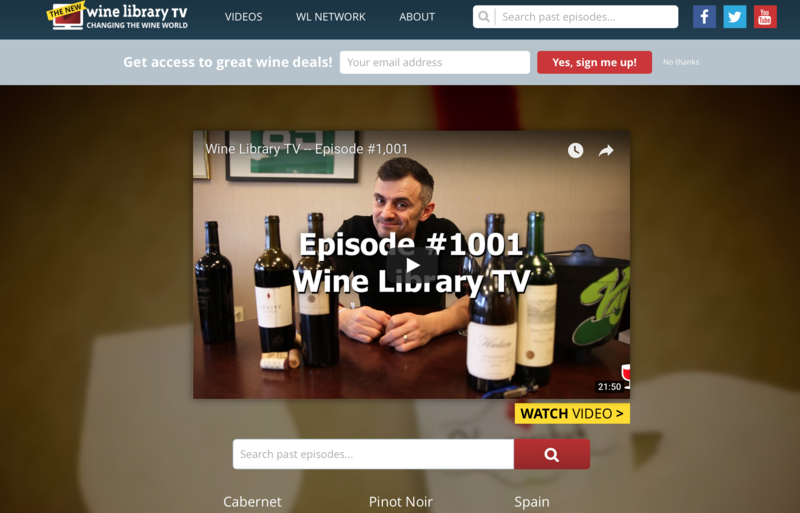 Some businesses will also add a .tv subsection of their site if they choose to have video content that’s designed to market their main product or services. This is an excellent use of the .tv subdomain, which adds to the main site instead of distracting from it if the video content is created only to help direct sales. The domain for this might be formatted in “mysite.com.tv” in order to keep the overall site address structure consistent. 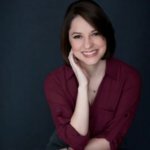 Want to learn how to launch your first profitable online video business? Check out Uscreen’s brand new Video Business School! The .tv domain won’t be for everyone, or even for most businesses. For sites that are branding themselves as video content creators, however, the .tv domain will help them to establish their brand and set themselves apart from their competition quickly. Even using a subdomain .tv address can help serve this purpose. Remember that it doesn’t have to be all or nothing, and if you have any doubt, you can purchase both a .com and a .tv domain, and forward the secondary address to the primary. This will give you more flexibility and room to change your mind if need be. Do you want to learn more about how you can create engaging video content quickly and efficiently, no technical experience required? Start your free trial with Uscreen today.